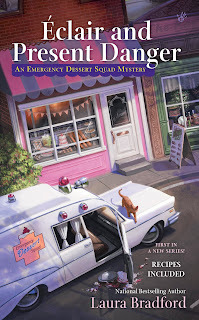 Killer Characters welcome guest Laura Bradford, the author of the BRAND NEW series: An Emergency Dessert Squad Mystery. I am writing this letter as a warning, of sorts, to those of you who think your life can’t change in the blink of an eye. For a while, I had quite the life. My human, Gertrude Redenbacher, spoiled me rotten. If she had hot chocolate, I got a little of the whipped cream. If she had a ham sandwich, I a little piece. When she sat to read or knit or nap (which she did a lot), I slept on her lap for hours. And nine times out of ten there was a warm wooly blanket and a sun spot involved, so my life was rather golden, you might say. Then one day, Gertrude went away. Someone said she crossed the human equivalent to the rainbow bridge. I can’t really say one way or the other, I just know my lap is missing. I wasn’t too sure what was going to become of me until I was handed off to one of Gertie’s neighbors along with a set of keys for that old ambulance Gertie’s late husband was always tinkering with. 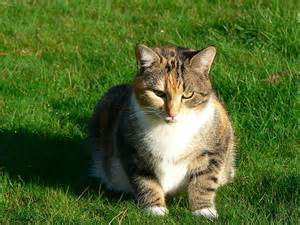 I tried to protest (okay, I hissed a few times) the hand off, but no one listened, least of all Gertie’s attorney who said something about a will and last wishes. So now I’m living with Winnie. She’s thirty four, which, translated, means she rarely sits (and, therefore has no lap), doesn’t seem to get the concept of table scraps, has yet to figure out my affinity for whipped cream, and she murdered two goldfish that were left in her care. That’s right. She murdered two goldfish. And this is who Gertie left me with? 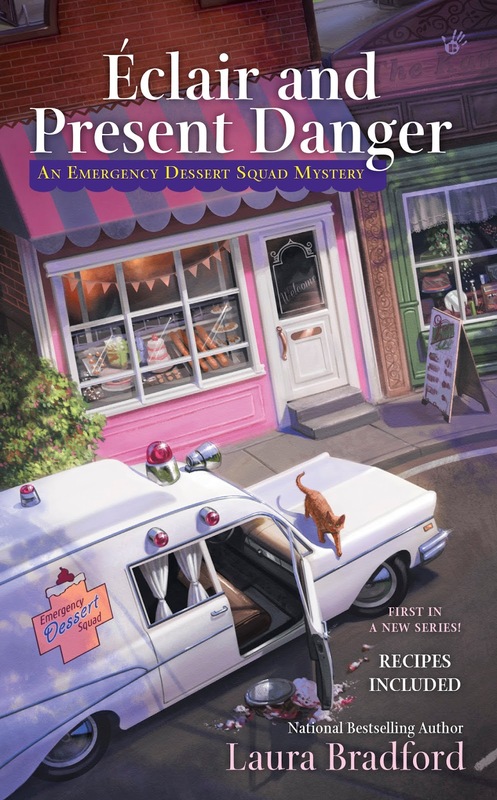 Éclair and Present Danger, the first book in Laura Bradford’s new Emergency Dessert Squad Mysteries, will release on June 7th. Pre-ordernow. Lovey, I do hope Winnie figures out how much you love the extra treats in life. I dislike knowing you are not getting any whip cream or ham nibbles. I'll wear her down. Just wait. Oh my. Lovey, you are something else. I hope you get come whip cream soon! Oh Lovey you can come live with me. I love to sit and read plus I always have whipped cream on hand. I'm not sure how you would feel about my two kids though. If your kids offer pets and food droppings, they're fine. Oh Lovey, what a life! I am sure with time Winnie will come to better understand your needs, but until then you might try scratching her furniture to express your sincere displeasure. grin! No, don't do that. Butter her up with lots of purring and rubbing against her legs whenever she steps foot in the kitchen and maybe she'll get the hint. And oh my do I love the sound of the Emergency Dessert Squad! Sounds like it'll be a fun new series. It's good to meet you, Lovey! I hope you get Winnie trained soon. I can't wait to read about your adventures with Winnie. I have faith that you will be able to whip her into shape quickly, so that you can return to the life of luxury you definitely deserve!